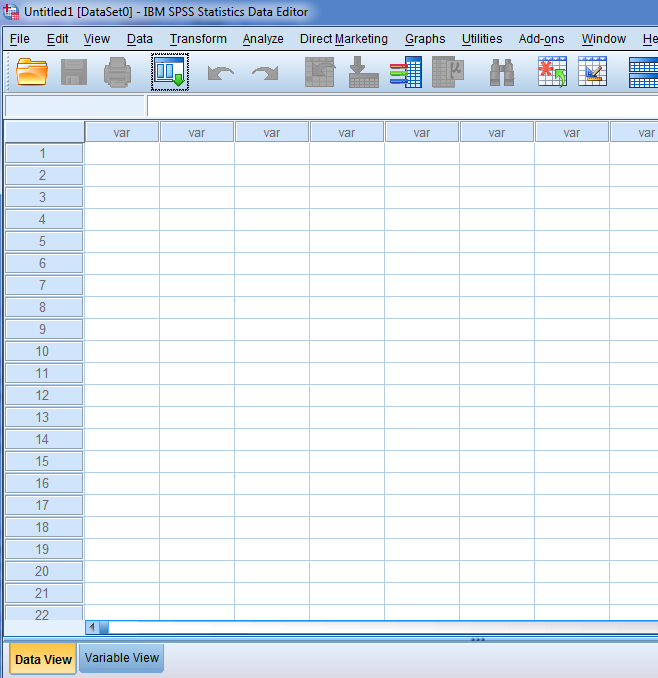 What to Do Next If I Need Help With SPSS? When it is the time to take a feared stats class (that one you have been kicking forward but now you must take because you need to graduate, and that class is mandatory) you think that in the end, it cannot be that tough. But then reality kicks in and you realize you have your first SPSS assignment that is due in a couple of days. And you're lost, completely lost. So, you were following more or less the lectures, but this SPSS thing is a different thing. Some people tell you it is not that hard, but other people tell you that the instructor is REALLY picky at grading. So you are super concerned, because you haven't ever worked with SPSS before. The first step, without any question is to know how you will get a hold of the SPSS software package to start working. This came come is different forms, depending on the requirements of your specific class. Some instructors require you to buy some version of SPSS, which could be an expensive option, but it has the advantage that once you have bought it, you will be able to work on your assignment from home. Having an SPSS installed in your computer system may make things much smoother. On the other hand, there is always the option of using the computers at the lab. This is by far the cheapest option, but it does come with disadvantages: Depending on your specific college, you may need to book a time slot to use the machines that have SPSS installed, and then you are running the risk of not having a slot available when you need it, which could lead to failure to delivering your SPSS tasks on time. Also, working at a computer may come with distractions from a noisy environment or chatty people. One of the biggest obstacles, if not the biggest one, for someone learning SPSS is to get familiarized with the basic interface. Understanding the role of the windows panes available and understanding how to using the drop-down menus will ABSOLUTELY give you a kick start. There are excellent tutorials online about how to use the main SPSS interface, and that should be the first thing you do. As you get a become acquainted with the interface, you will realize that there are essentially two tasks you need to conduct with SPSS: Input of data, and requesting SPSS to conduct an analysis of the data. You can see it as a two-step job you need to do. You first needs to feed SPSS with the data, and then you need to tell SPSS what to do with the data. After that, the third step comes into play, which is the interpretation of the results. This is, if everything went well with the previous two steps (data inputting and telling SPSS what to do with the data), you will get some outputs from SPSS that will need to process and interpret. Lots of people would be happy if everything would end at the point where SPSS spits out its output, but it is not like that. After you have become proficient at inputting data and asking SPSS to conduct analyses (via syntax or the menus), you will need to become proficient at interpreting what SPSS is giving you. At this point you will need help interpreting what SPSS gives, but in the end it is not that hard and with practice you will learn how to do it well.